Villa Dolfin – Dal Martello, known as La Mincana, is a 16th century Venetian villa situated in Due Carrare, in the province of Padua. Since 1914 La Mincana has been an agricultural farm owned by the Dal Martello family, extending over a surface of about 57 hectares, 18 of which are vineyards. The main activity is the production and selling of high-quality wine and the tastings of wines and gastronomic specialities. In 1580 Marietta Bragadin owned a house in Carrara with an “internal garden a fruit and vegetable garden and other annexes for a comfortable stay when going to the villa”. In the 17th century, the complex was owned by the Venetian noble family Dolfin from the family branch of S. Pantaleon. 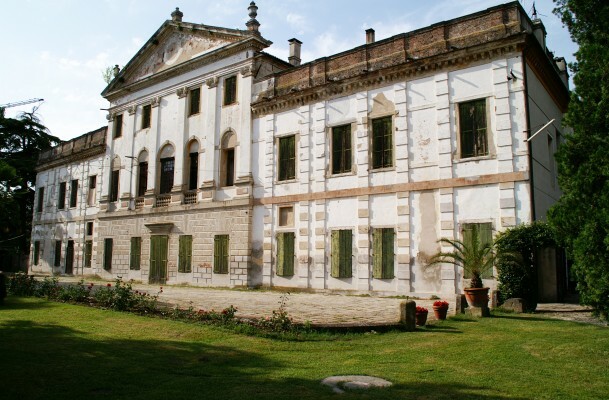 At the beginning of the 18th century, with Daniele Dolfin, patriarch of Aquileia, a period of modernization began that continued until the middle of the century and gifted the Villa with an oratory, an English garden with a fish pond, a labyrinth, a botanical garden and a lemon-house and embellished the whole complex with Marinali’s statues. With the changing of owners, decorations, furniture, statues and the altars of the oratory were sold whilst the garden became cultivated land.